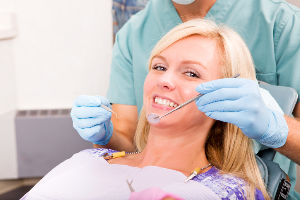 Cavities are common dental problems you might always hear at the dental office. But not all people know what cavities really are and how they can bring up other dental issues if not paid with enough attention. There are different places where a tooth can suffer decay and various types of cavities that will emerge thereafter. Here are the three different areas your teeth can experience cavities. Cavities occur on this area when plaque turns out to be trapped in the grooves of the teeth. This usually happens to children since they frequently miss these places when brushing their teeth. This appears by the time plaque is left to develop on the hard-to-reach surfaces. Knowing that these areas are not reachable by brush alone, they may be prone to decay, especially if you don’t floss regularly. Without a consistent oral healthcare routine, the excessive accumulation of mouth dwelling- bacteria and plaque buildup could easily result to a number of unwanted oral health anomalies, among the most common and prominent of which include dental cavities. Otherwise referred to as dental carries, dental cavities remain the leading cause of many unwanted dental anomalies including toothache, tooth decay, and tooth loss. Dental carries typically develop alongside periodontal anomalies. Essentially, there are three types of known cavities. Root Decay. Root decay is arguably the most common type of tooth decay that plagues adults who are suffering to receding periodontal tissues. Root decay most commonly occurs on the surface of dental roots. Pit And Fissure Decay. This type of dental cavity typically affects the chewing surfaces of the teeth. Pit and fissure decay is easily preventable with frequent and proper brushing of the teeth. On the other hand, if you don’t keep proper dental hygiene, pit and fissure decay can easily worsen and inflict detrimental damage to your back teeth.